Whether you are looking to make the playground area in your backyard safer or you are in charge of giving the play area at a school a makeover, outdoor playground rubber mats offer a number of key benefits that will give these children the safest possible place to have fun. These playground rubber mats are designed to provide a protective surface for the playground, offering comfort underfoot and ensuring the child is not at risk of injury from a fall. Kids are going to fall, especially in the playground, and these playground mats will absorb some of that impact and minimize any potential injuries the child may incur. The outdoor rubber mats, also known as playground mats or playground flooring, help to put a little bounce to when a person hits the surface of the flooring. Combined with the soft material that composes these outdoor playground mats, waffled-bottom designs can make sure their feet are never susceptible to serious strain that comes from playing on hard surfaces. Most children today are playing in a rough and tumble manner at these playgrounds. We did it too once upon a time. Soft and elastic playground outdoor rubber mats installed in those play areas minimizes the injuries these kids will get from falling down. The obvious benefits of installing the playground rubber mats is you reduce the risk of a child suffering a serious injury like they would get falling on a hard surface. Kids are going to fall, and these popular tumbling mats absorb the impact that would otherwise put too much strain and pressure on their under-developed limbs. Whether the child takes a tumble off the swing or falls off the slide, the cushioning material of these playground outdoor rubber mats is designed to take the brunt of the impact and give the child the ability to get back into the fun with little or no pain. 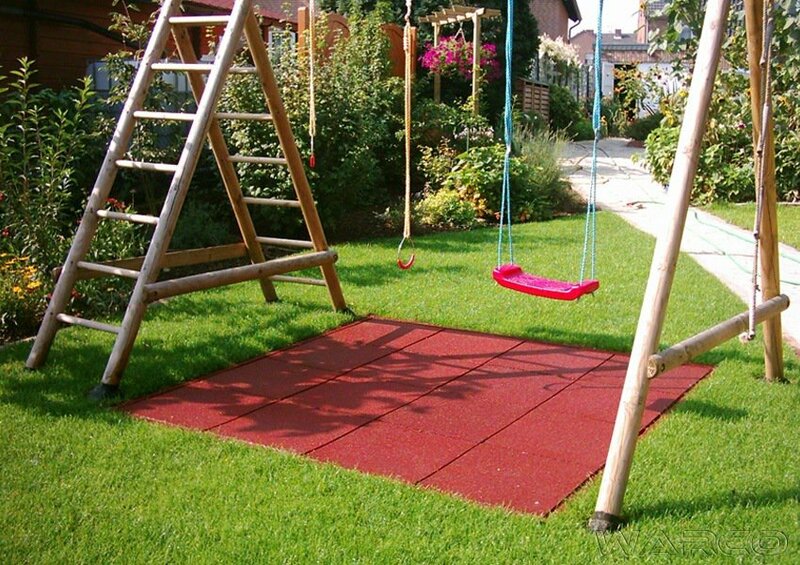 When using these colorful playground mats around the swing set in your yard, you preserve the appearance of your property from the displacement of ground cover while on the swing set. 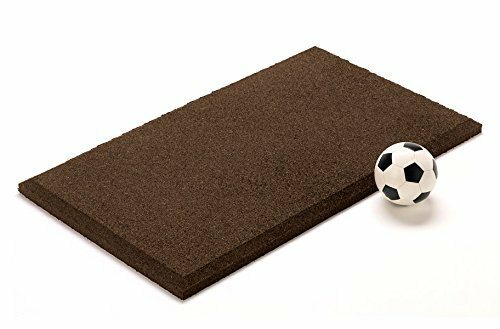 These mats come in a variety of sizes and thicknesses, so they can be utilized in a small swing set in the yard or a large playground area at a nursery school or playground. The installation of the playground mats depends on the type of material and size, but they all are simple to put on the ground. These playground outdoor rubber mats are going to be some of the easiest outdoor floorings you will ever place. Depending on the style of the popular tumbling mats, they may have holes on the edges to allow a pin to secure them to one another. Once secure, there will be no slipping or separation, they connect with a tight seal that increases the overall surface area of the safety mat. Regardless if you need a small section to go under a swing set or a large area to cover multi-set playground equipment, the installation process is similar. When it comes to affordable playground outdoor rubber mats, there are many brands and styles to choose. 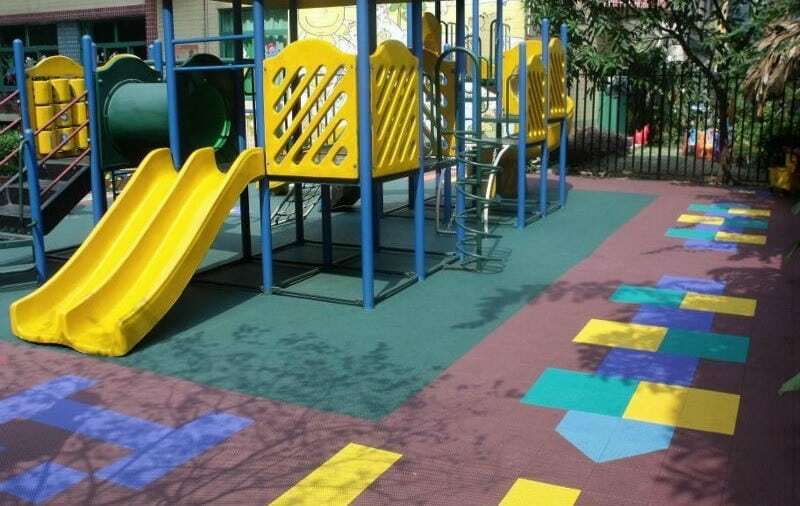 When choosing your playground mats, keep in mind that the material is thick to absorb maximum impact, so choose the size of the tiles you need carefully because they can not be cut to fit around your equipment. Today we discuss five of the top outdoor rubber mats that will help to create the safest possible outdoor playing environment for the kids. 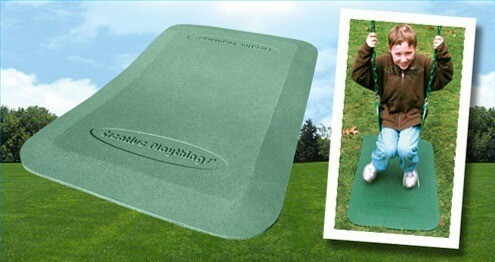 These outdoor playground mats are the perfect size to place under a swing-set or a slide. The material is two inches thick, with beveled edges so the child will not trip over the edges. 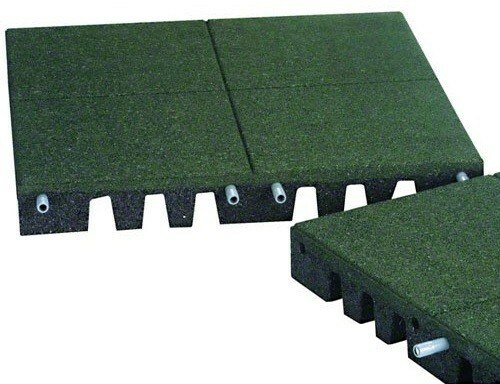 Can be used as a standalone piece or part of a larger section of playground rubber mats. 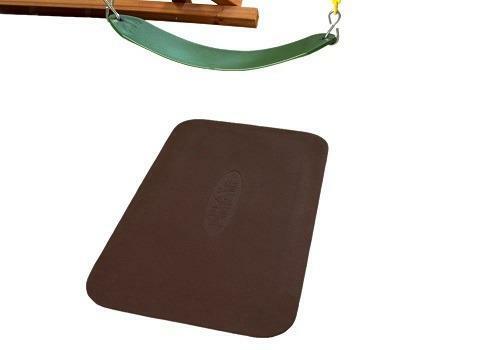 These are the perfect affordable playground mats to place under swings so the child doesn’t get hurt if falling while learning to work the equipment. Children can easily slip when pushed or not holding securely, and these popular tumbling mats will help make the location safer. The sweeping motion of the child’s feet will not tear up the ground directly below the swings. 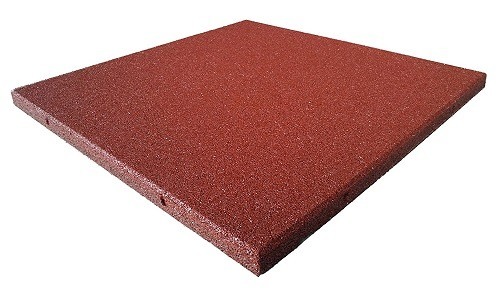 These playground outdoor rubber pads are designed to fit under any swing and provide the child with a softer landing area during and after they are playing on the swings. 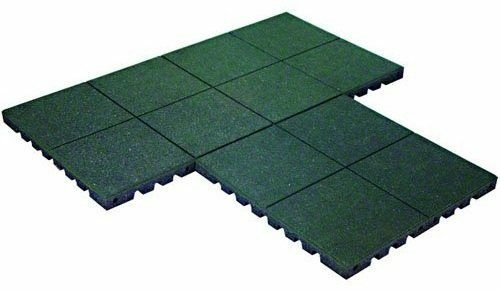 The added benefit to these outdoor rubber mats is they help to discourage the displacement of any ground cover under the swings. This playground flooring will be able to rescue the child when they take a tumble, absorbing the majority of the impact so they can get back to being kids again without injury. Made from recycled rubber, these playground mats will help to keep the children from suffering injury, while draining away water easily to help prevent slippage while making use of the playground equipment. Tiles are wear-resistant and will help to repel water so they are slip-resistant. Interlocking tiles will help to provide the safest possible playing area. Each tile is manufactured to withstand shock and impact while providing a comfortable place to run, walk, or just be a kid.